Microbiology 2019 welcomes attendees, presenters, and exhibitors from all over the world We are delighted to invite you all to attend and register for the “2nd Annual Congress on Microbiology and Microbiologists” which is going to be held during October 7-8,2019 in Madrid, Spain. 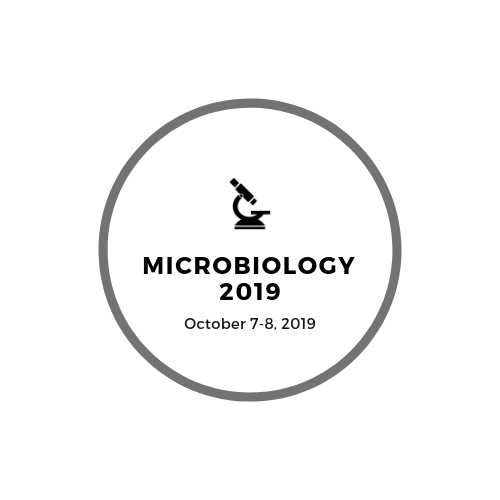 Microbiology 2019 has been designed in an interdisciplinary manner with a multitude of tracks to choose from every segment and provides you with a unique opportunity to meet up with peers from both industry and academia and establish a scientific network between them. We cordially invite all concerned people to come to join us at our event and make it successful by your participation. At PULSUS Group, It is our ideology to bring maximum exposure to our attendees, so we make sure the event is a blend which covers professionals such as Microbiologist and Life Sciences Researchers from academia & industry making the Microbiology 2019 conference a perfect platform. 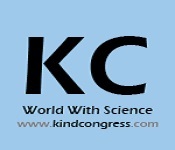 The conference will be organized around the theme ‘Exploring the world of microbes. 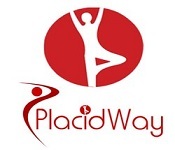 Our goal is to deliver an outstanding program which covers the entire spectrum of research & innovation in Microbiology and share the cross-cultural experience of various treatment procedures for Infectious Diseases. With members from around the world focused on learning about the Microbiological Techniques and its advances; this is your best opportunity to reach the largest assemblage of participants from the community of Microbiologist and the other researchers. Conduct presentations, share your information, meet with current and potential scientists, make a splash with new discoveries in the treatment of infectious diseases and diagnosis, and receive name recognition at this 2-day event. World-renowned speakers, the most recent techniques, developments, and the newest updates in the use of Microorganisms, their uniqueness and role in research field are hallmarks of this conference. Microbiology is the study of micro-organisms that are unicellular, acellular and multicellular. 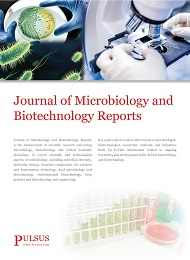 It includes several sub-disciplines like bacteriology, virology, mycology, parasitology, protozoology, nematology etc. Applied Microbiology is the branch of microbiology that deals with the usage of the microbes for the upliftment and well-being of human and other living organisms. 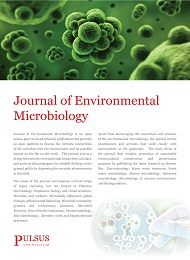 Environmental Microbiology deals with the study of microbes that exists in our surroundings including air, water, soil etc. Cellular microbiology interlinks the fields of cell biology and microbiology. It deals with the study of cellular structures of microorganisms. Evolutionary Microbiology is a branch of microbiology that deals with the study of evolution of microbes. Generation microbiology deals with the study of microorganisms that share the same characters as their parents, so that it could help us find the height of virulence of the microbes and the disease caused by it. Pathogenesis is the biological mechanism that would lead to the diseases state. Immunity is the balanced state of having adequate biological defences to fight against infection, disease, or other unwanted biological invasion, while having adequate tolerance to avoid allergy, and autoimmune diseases. Immunity involves both specific and nonspecific components. The nonspecific components act either as barriers or as eliminators of wide range of pathogens irrespective of antigenic specificity. Other components of the immune system adapt themselves to each new disease encountered and can generate pathogen-specific immunity. Microorganisms cause various diseases that be acute or chronic. They include diseases like HIV, Ebola, Tuberculosis, Common Cold, Measles, Zika, Malaria, Flu, Hepatitis, Strep Throat etc. These infections may be Communicable or Non-Communicable and their way of spreading may differ accordingly. Infection is the invasion of an organism's body tissues by disease-causing agents and the reaction of host tissues to the infectious agents and the toxins they produce. They should be diagnosed and treated at the early stage to avoid any further complications. 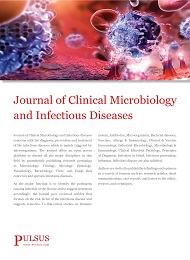 The development of new techniques in the diagnosis and treatment should reduce the time consumption to detect the infection caused by a specific microbe. Microbes would affect almost all parts of our body including heart, lungs, gastrointestinal tract, urinary tract, nervous system, skin, brain, gut, nails, limbs etc. Hospital-acquired infection also known as nosocomial infection is an infection that is contracted from the environment or staff of a healthcare facility. 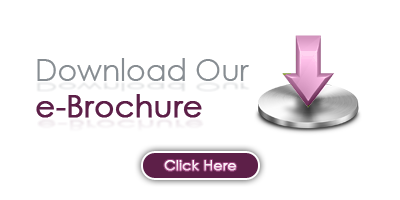 It can be spread in the hospital environment, nursing home environment, rehabilitation facility, clinic, or other clinical settings. Infection is spread to the susceptible patient in the clinical setting by a number of means. Health care staff can spread infection, in addition to contaminated equipment, bed linens, or air droplets. Controlling nosocomial infection is to implement Quality assurance / Quality control measures to the health care sectors, and evidence-based management can be a feasible approach. Antimicrobial resistance refers to microbe’s ability to change and become less susceptible to drugs. The development of antimicrobial drugs (antibiotics, antivirals, antifungals and antiparasitics) to treat otherwise life-threatening infections has been one of the most notable medical achievements in human history. Antimicrobial stewardship refers to coordinated interventions designed to improve and measure the appropriate use of antimicrobials by promoting the selection of the optimal antimicrobial drug regimen, dose, duration of therapy, and route of administration. Vaccination is the administration of the antigenic material to stimulate an individual’s immunity against a pathogen. It is the most effective way of developing immunity against the infectious disease among a huge set of population. 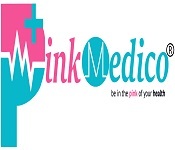 The vaccinations are provided in a particular schedule right from the time of birth. Bioinformatics is an interdisciplinary field that develops methods and software tools for understanding biological data. It combines biology, computer science, mathematics and statistics to analyse and interpret biological data. It includes DNA sequencing, Genome Annotation, Analysis of gene expression, mutations in cancer, image and signal processing. Molecular microbiology is the study of the molecular principles of the physiological processes in microorganisms. Genomics is an interdisciplinary field of science focusing on the structure, function, evolution, mapping, and editing of genomes. A genome is an organism's complete set of DNAs, including all of its genes. Biotechnology is a branch of science that makes use of the living organisms and systems to make new products that would uplift the living style of human beings. It usually includes the production of artificial products with high quality by cloning, hybridization and cloning. Biochemistry is the branch of science that deals with the study of chemical processes within and relating to living organisms. Biofilm is the formation of group of microorganisms that may belong to the same species or may consist of different species. Usually they will be found as a dental plaque and in the vaginal and urinary tract. It is difficult to eradicate them. They can be used in various industries for the various purposes. Genetic Engineering is the branch of science that deals with the genetic modification or manipulation of genes like gene transfer, gene copying, addition and removal of genetical data from a specified genetic material. This procedure is normally used to enhance a person’s health by removing the inappropriate gene that is causing disease. Microscopy is the field of using microscopes to view objects that cannot be viewed via a naked eye. Being the main tool for a microbiologist the microscopes can be classified into many types depending on the need and the type of specimen to be studied. Microbiologists play an important role in the field of science. They work with the microorganisms and they must follow certain procedures and rules when working in the laboratory to avoid any adverse effects. They should be careful in handling the data of the patient and while working with the organisms. New infections still present a threat to humanity. Novel pathogens often infect humans, but it is not yet well understood why only some pathogens acquire the ability to spread efficiently to other humans. An emerging infectious disease is an infectious disease whose incidence has increased in the past 20 years and could increase in the near future. Emerging infections account for at least 12% of all human pathogens. Public health emergencies caused by infectious threats have the potential to kill thousands or millions of people. These threats can emerge naturally as outbreaks or pandemics, such as influenza (pandemic and seasonal), severe acute respiratory syndrome (SARS), extremely-drug resistant (XDR) tuberculosis. Microbiology is the field of biology which mainly deals with the investigations of the microscopic organisms called as microbes composed of only one cell. It mainly includes the study of microbes with their distribution in nature, relationship to each other and other living organisms, specific effects on human, plants and animals, reactions to various chemical and physical agents. Microbiology is considered as an important technology which has a larger impact in many different industrial sectors in future. 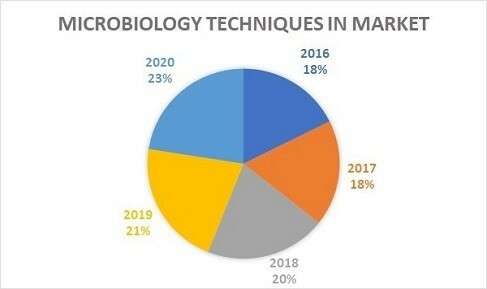 The scope of microbiology is so vast that it has an enormous of branches that deal with various techniques and technologies for the treatment of various infectious diseases and new findings in drug discovery. Antibiotics are mainly used for the prevention of bacterial infection. Thus, as a trend Fungi can be used as a antibiotics because it secrets some nutrient around it. Some bacteria’s have been injected in to the human gene which has the possibility to secrete the hormones than the normal human does. Waste water treatment is a crucial factor in microbiology which mainly involves the treatment of industrial effluents by lowering the COD. Without microbes there would be lot of dead things. We would run out of space on earth. There are more than 30 universities related to microbiology and life sciences around the globe which involves 20,000+ students, 5000 international students,2000+ academic staffs and 500+ international staffs which mainly deals with the different field of microbiology and researches with microbes for the discovery of the new drugs and treatment for the emerging diseases.